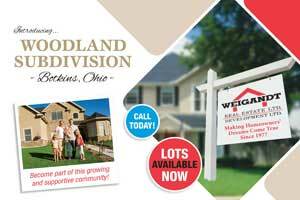 At Weigandt Development Ltd., we realize that a home is generally a persons most prized possession. Your home is an extension of yourself and should be unique to your specific personality. It is a lifetime investment and one that you should be proud of. As a customer, building a house can be a little overwhelming because you play such a big part in the planning. 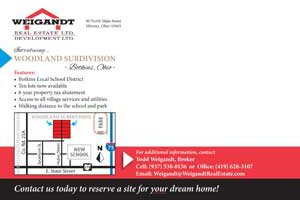 Fortunately, Weigandt Development Ltd. makes it easy. We have a creative design team that works with the customer to assure that you get exactly what your looking for. 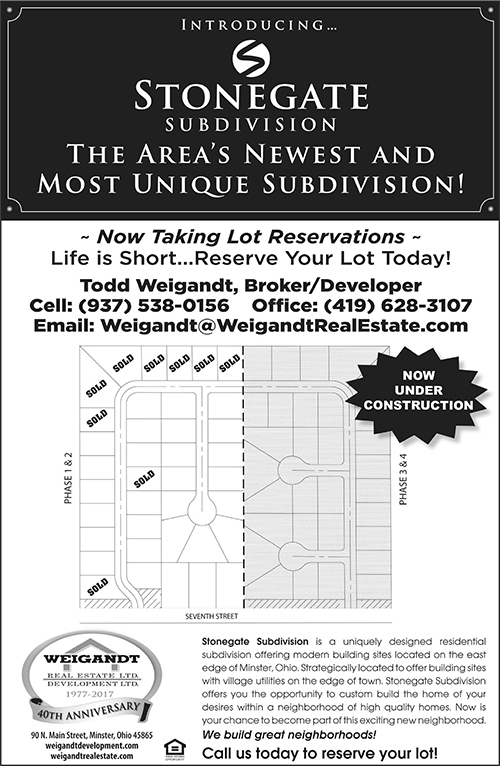 Weigandt takes great pride in building to your budget, and helping the customer create a floor plan that suits their wants and needs, never duplicating the same floor plan twice. Weigandt Development Ltd. is committed to taking the time to create the perfect exterior and interior space for your family and making a place that you want to come home to. Weigandt Development Ltd. self-performs the majority of the work on all of it's projects limiting the use of subcontractors. This process allows us to guarantee the quality of your home and allows us to control the schedule. We back our work performance with a "Full Five Year Warranty" which guarantees our committment to you. 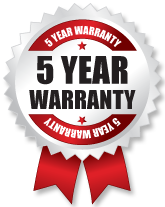 This five year warranty far exceeds the standard warranty offered by the majority of our competition. We are dedicated to our customers and look forward to working with you! 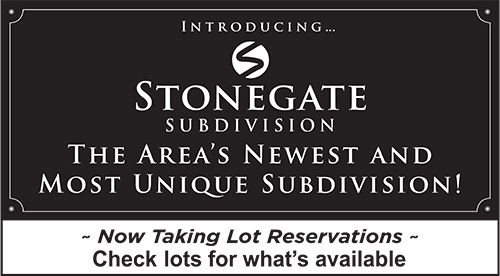 This subdivision is located on the east edge of Minster with village utilities.